There are generally two kinds of runners. There are the runners who listen to music and the runners who don’t. One camp claims the music helps them keep pace and stay focused, while the other says that they can focus inward and keep pace by what their body is telling them. Neither is necessarily better than the other. I say this especially because this year, I don’t fall into either camp. I used to listen to music when I ran, but when I started running again in May, I couldn’t stand it. My old running playlist that I looked so forward to breaking out again was dreadful and obnoxious. So I switched off Spotify and switched on Ender’s Game. Since I’ve returned to running in early May, my habits have changed dramatically. I have absolutely adored listening to audiobooks and podcasts. Over the past three months, I have listened to countless hours of people simply talking to me. It has been wonderful. When I got tired of listening to a book, I would switch over to a podcast, and when there were no topics I wanted to hear, I swapped back, and became fully invested in whatever narrative I’d chosen that week. So far this summer, I’ve listened to Ender’s Game and Ender in Exile by Orson Scott Card, Parasite by Mira Grant, For the Win by Cory Doctorow, and The Maze Runner by James Dashner. They have all been well worth the time. When I’m not getting my story on, I’m listening to podcasts, which I had never really listened to, but thanks to my friend Barry, I’m now all about. I have to say, though, that I do spend far more time running to audiobooks than I do to podcasts. The main issue that I’ve found with podcasts is that all the topics can’t keep my attention. Stuff like The Nerdist is awesome, but inconsistently interesting, and with fitness podcasts, a lot of them are catering toward ultrarunners and elite athletes, and that’s just not me. I’m interested in the topics, but I just don’t find myself terribly connected when someone is discussing how to get through that wall at Mile 40 of an ultra-marathon. I tend to listen to these kinds of talky-talky shows and stories because the music started making me pay attention to it. WIth a new song every 3-5 minutes, something was always changing, always pulling my attention away from the running. I use running as a way to think and meditate, and podcasts and audiobooks let me do that far better than music does this year. I can focus on a topic or idea and return home and write it down or work on it. I get my stress relief, some books read, and new ideas. It’s perfect. I have to say, though, my adrenaline was pumping so much during my race a few weeks back that an audiobook just wouldn’t cut it. I had to turn on some high-BPM music and let it guide me. I think the slow, steady talky-talky may only work for training runs. What about you all? What do you listen to while running? Any recommendations for awesome podcasts I should be listening to? 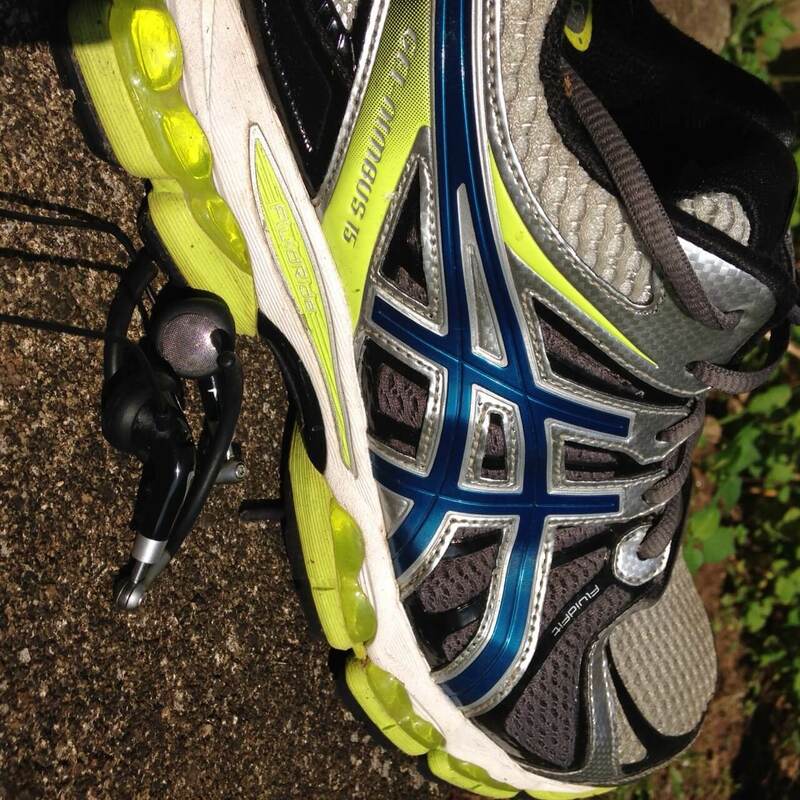 If I could run (ankle/foot problems… still) I’d be a podcast listener, too. Tried Zombies, Run! while I did run and really enjoyed it. Music is too fleeting. I agree, I like to get into an almost zen-like state, and three minute songs just don’t cut it. I also love podcasts for cleaning and traveling, too. – Welcome to Night Vale – Oh man, you might really like Night Vale. It’s a bi-monthly small community news cast of the fictional town of Night Vale, where horror and just weird stuff is the norm. Horror/Humor. – Big Kev’s Geek Stuff – Some RL friends of mine’s podcast on collectibles and geeky things. – Catholic Homilies w/ Father Scurti – I’m generally not religious, but the priest that married us has a podcast and I can listen to his homilies all day. Really intelligent and has a talent for blending religion with realism. – Beyond the Veil – podcast about The Secret World. – StarTalk – Science podcast hosted by the always awesome Neil Tyson and comedian Chuck Nice. – Preston and Steve – Awesome morning show here in the Philly area. I’m glad to see I’m not the only one who does that. I may never listen, but I helped out by downloading the episode! Hah! NightVale is on my list, but I’ve always felt I should start from the beginning, but that’s pretty daunting. Is it a long-term narrative like I am thinking? Yes, it is, and probably not as daunting as you would think. In fact, it’s probably a lot harder if you *don’t* start from the beginning. I just became caught up in the past 2 epsiodes so now I have to wait for the new ones. Totally worth it to start from the beginning. You’re not the only person who’s told me how awesome HowStuffWorks’ podcasts are awesome. Guess I really need to check them out. They are indeed awesome. One thing, though: once you hear about a subject you know a lot about, you realize how little in depth they get in some episodes (but then, you can’t go in depth on all things and have episodes under the 1 hour mark). They do go a lot in depth for other episodes (3 1-hour episodes for the history of IBM, can you believe it? ), but it’s just a thing to keep in mind. 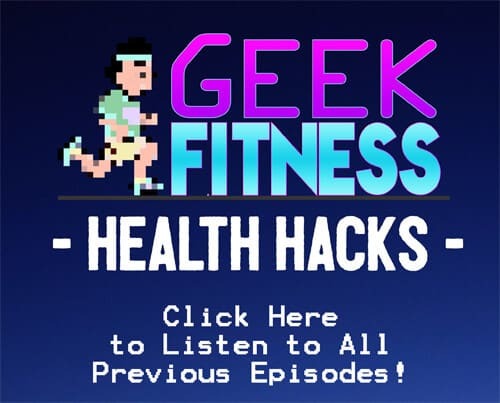 I totally love listening to audiobooks and podcasts…since I’m all about making sure I fit both geek and fitness into my day…there is really nothing better than listening to a geeky podcast during a good run! The Super Nutrition Academy is a really interesting interview show that covers mainly nutrition, but other topics as well…if you pick one from my list…try SNA. I’ll definitely check that SNA one out (and the others, too!). It sounds like it’s right up my alley. Part of it for me is also time. I like 30-45 minute podcasts instead of 3 hour ones. Why do some producers make some episodes 3 hours? OMG!